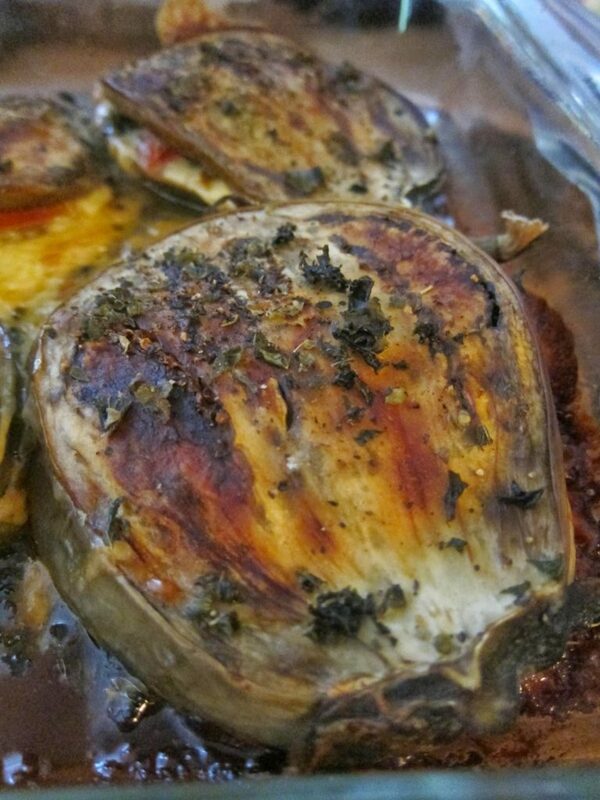 Roasted White Eggplant/Beyaz Patlıcan, Sliced, Stuffed with Cheese, Tomato & Fresh Herbs! 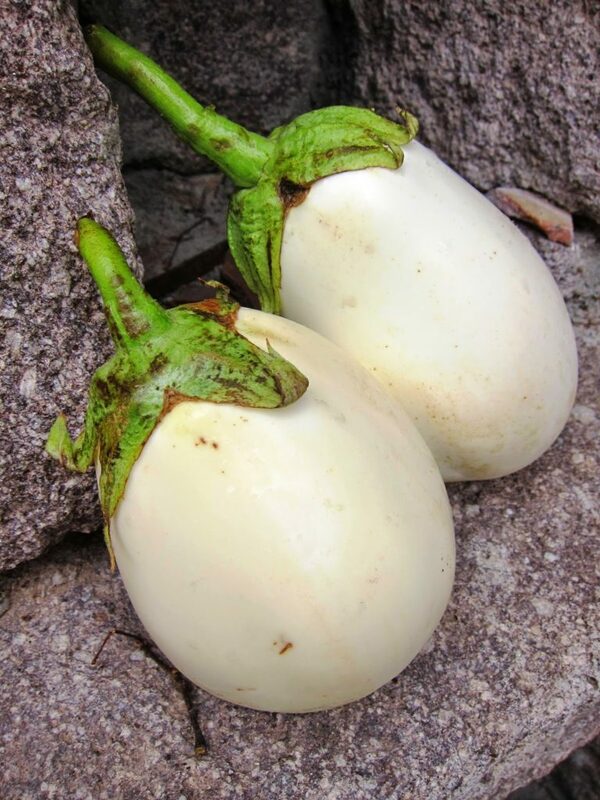 I don’t know about you but I have never seen white eggplants before – have you? Big and bulbous, the veritable Moby Dicks of the patlıcan family! And here is what she told me, kindly slicing a normal purple eggplant to illustrate what she was describing. Cut finely from one end towards the stem end without cutting all the way through; then slice through again below that cut. This time, cut through so you have what looks like a sort of folder, a sandwich idea but joined at one end. In it, she said, put cheese, parsley and mint, brush with olive oil and bake in the oven. This sounded enticing so I bought two to experiment with. 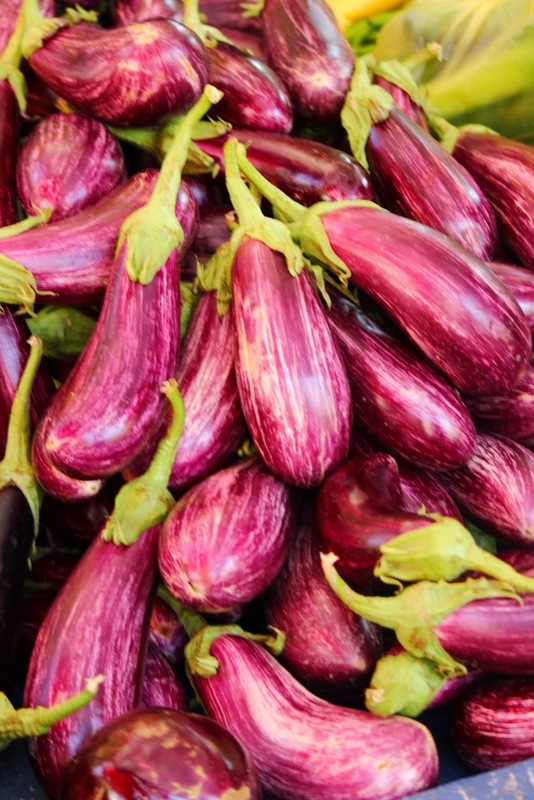 The next day, I cut through my two white eggplants so I had 8 pockets. I brushed inside each with olive oil and seasoned well. Then I put a slice of cheddar cheese, some fresh parsley, dried mint – I didn’t have fresh – and dried thyme in each. I thought a dab of colour would be appetising so added a slice of bright red tomato. I closed each pocket as much as I could, brushed the outside with olive oil and put them in an oiled pyrex dish in a preheated oven (180C/350F). I think they took 40 minutes – they didn’t need any further attention, just a little look to see how they were progressing. We had our friends from the UK with us so this was lunch: I would definitely do this again as they were extremely tasty, just as you would imagine! Next time however, I’ll add some garlic – can’t think how I overlooked it! 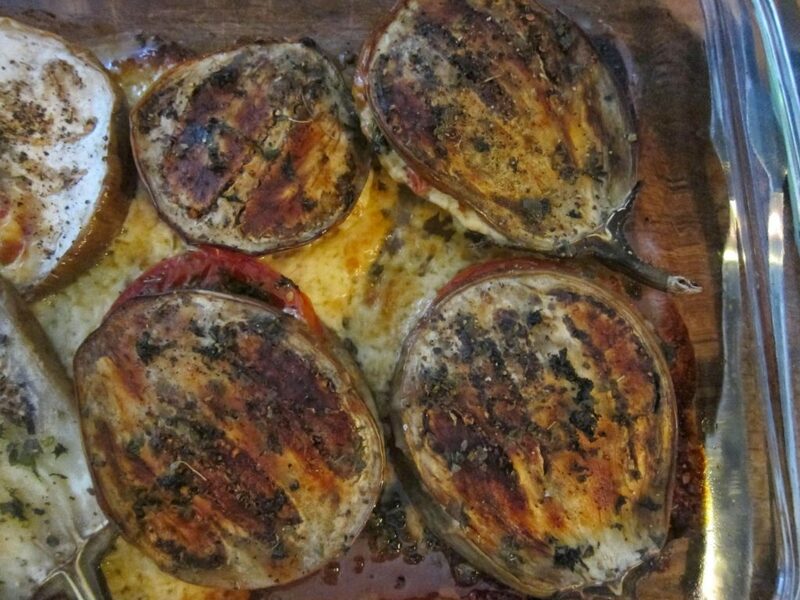 So this is yet another way with eggplant. 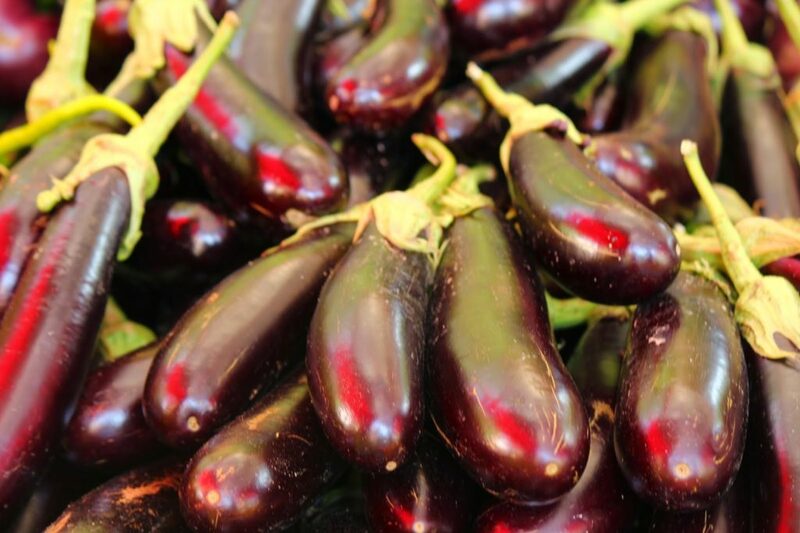 Or aubergine. Or whatever you want to call it. Try it and see how you get on. PS as far as I can see, whatever the colour, they all taste the same!